Unfurling an alluring variety of handmade metal beads that look like sterling silver. 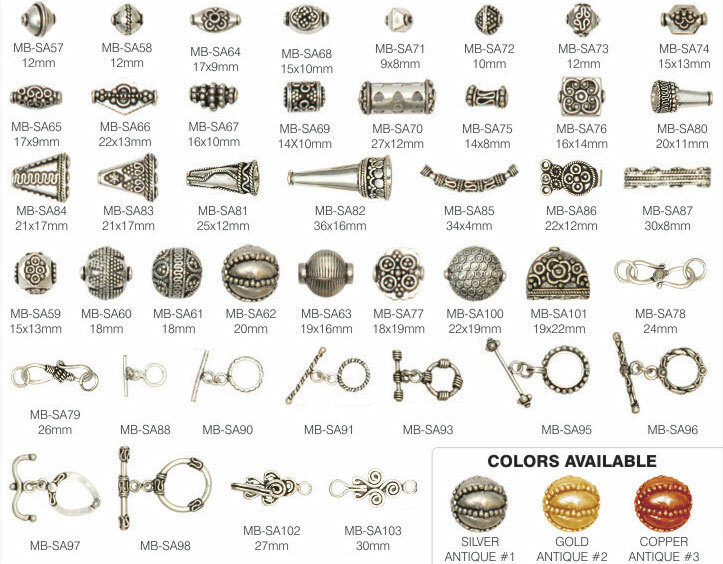 Our range of sterling silver metal beads comes in wide assortment of pretty shapes and designs which are simply stunning. Their extraordinary shine and finish make them masterpieces. Designed with innovation, these sterling silver beads are ideal for decorating outfits & making fashion accessories.